In an interview yesterday evening at the WSJD Live event in Laguna Beach, California, Tim Cook didn't spend too much time talking about phones and computers. Rather, he chatted about the company's newest and more forward-thinking endeavors like the TV, the Watch and Apple Music. And: he even fielded a few questions about the future of, ahem, cars. No, he didn't specifically say that Apple was making a car -- Cook is obviously too media-savvy to let anything like that slip -- but he did say that the auto industry is ripe for change. "It would seem like that there will be a massive change in that industry," he said, and not just an evolutionary one. "When I look at the automobile, I see that software is becoming an increasingly important part of the car of the future." Autonomous driving is becoming more important, he said, and a lot of the major technologies in the car signify a shift away from traditional combustion engines to what he calls the "electrification" of the vehicle. In the short term, Cook said the company already has an automotive solution called CarPlay, which is already deployed in a number of brands in the business. "We want people as they enter the car to have an iPhone experience," he said. Cook was, however, much more ebullient when discussing the topic of Apple TVs, which he says should be available starting next week. "I've never been so confident that it's the foundation of the future of TV," he said, adding that the current way we watch television is broken. With the ability to record shows and watch them on-demand, there's really even no need for a traditional "channel" anymore. "Linear TV is going away [...] This model has outlived its usefulness." Of course, this requires content companies to jump on board, which HBO already has. "Have you ever tried to buy HBO through a cable company?" asked Cook, drawing a comparison with how easy it is to subscribe to it with the advent of HBO Now. Tim Cook on Apple TV and cord-cutting: "If we can play a role being a catalyst here, we'll play that role. I'm really excited. The starting gun has been fired." On whether or not Apple TV will get even more folks to cut the cord, Cook said that you have to build a foundation and a platform first. 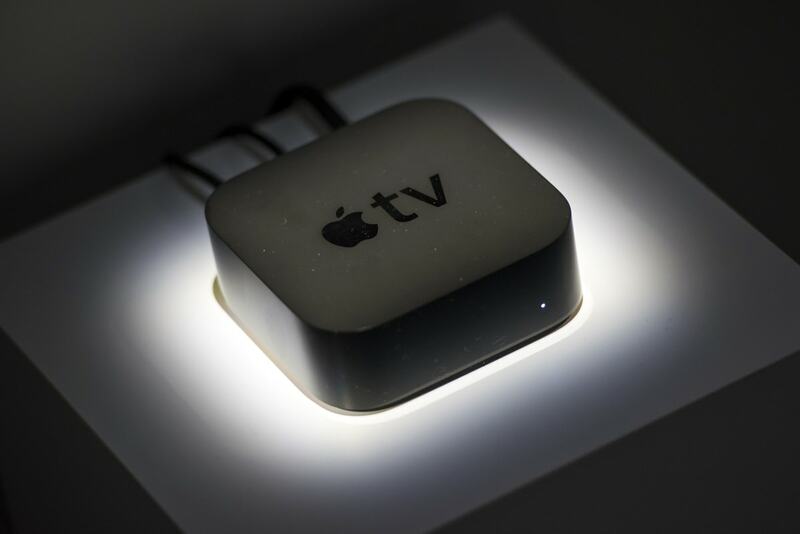 Apple TV, he said, is that platform. To content companies, he said: "You want to get your content to people who want to watch it. You want to interact with your customer. You can't do that today with today's system." "If we can play a role being a catalyst here, we'll play that role," he said. "I'm really excited. The starting gun has been fired." On the Watch, well, Cook still refused to reveal any kind of sales numbers on the Apple wearable, which is a little surprising considering how Apple is traditionally pretty open about sharing sales figures. "This is competitive information," Cook offered as an excuse," I don't want to give anyone information if we don't have to." All he would say is that the company "shipped a lot" of watches and that it has a long product roadmap ahead of it. As for whether there'll ever be a watch independent of a phone? "I don't want to tell you that!" Apple Music is also supposedly doing quite well, according to Cook, with around 15 million subscribers to-date. That said, more than half of those numbers are still on the 90-day free trial, while 6.5 million or so are actually paying for the service. Human curation is what sets it apart, said Cook, with professional DJs putting together a playlist that's a little more tailored than standard algorithms. "It's totally different [...] You know it when you feel it. It brings the art back in music." Cook also spent a great deal of time talking about Apple's commitment to privacy, saying that he'll always encrypt user data and won't allow any kind of security backdoor. "You can't have a backdoor in software that's only for the good guys; any backdoor is something that bad guys can exploit." He added that the company feels significant obligation to help its customers protect their information. Answering a question on whether this would limit the government's ability to catch criminals, Cook said: "No one should have to decide between privacy or [national] security. You should be able to [have] both." Last but not least, Cook ended the interview by discussing Apple's roles in advancing human and environmental rights as well as putting effort into funding and supplying underprivileged schools. Of note is Apple's commitment to gay marriage rights, which might've alienated some of its customers. In the end, however, Cook said it's worth it. It shows that the company has a core belief and that it's authentic, and even people who don't ascribe to those same beliefs can respect that. "Steve formed Apple to change the world. This was his vision. He wanted to give technology to everyone [...] to empower them to do great things," said Cook. "We still have this vision."